Activision sprung Jurassic: The Hunted on us only a month ago, barely giving folks time to see it, much less find out how it played. Perhaps an Xbox 360 demo will shed some light. 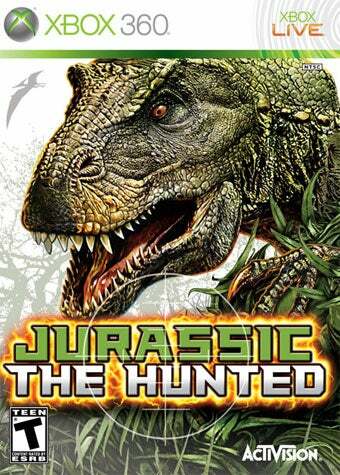 Jurassic: The Hunted, developed by Cauldron HQ and released two weeks after it was announced on the Wii, Xbox 360, PlayStation 3, and PS2, is a budget first-person shooter involving weapons and survival expert Craig Dylan, trapped on an island inhabited by dinosaurs. The screenshots looked nice enough, but there's just something about a game going from official announcement to release in under a month that doesn't generate confidence. Now releasing a demo, on the other hand, either speaks of Activision's confidence in the title, or its hope that the few people who would enjoy this sort of thing realize it exists. One of those. The Jurassic: The Hunted demo is now available to Gold Xbox Live members in the U.S. Give it a go, and report back your findings.